This is an opportunity to learn from author and award winning doula, Kicki Hansard, who has worked as a birth and postnatal doula since 2002. Kicki has been facilitating courses since 2006 and has started the doula journey for over 600 doulas. Kicki has trained with both Penny Simkin and Phyllis Klaus, two of the founders of DONA (Doulas Of North America) as well as a number of other leaders in their fields. Kicki believes she is the only doula course facilitator in the UK who has trained with these elders of the doula movement. This course is combining researched based information with real life experiences of working with women and couples before, during and after the birth of their babies. Kicki is a qualified trainer and holds the City & Guild Award in Preparing to Teach in the Lifelong Learning Sector (PTLLS). The aim is that each and every aspiring doula that comes through the BirthBliss Doula Course will remain unique and have a firm understanding of what their role is. The four day course is very interactive where participants are encouraged to share their views, ask questions and nourish themselves as they prepare for work as doulas. "Doing Kicki's course was probably the best money I have ever spent. The course covered everything I could have wished for, was well structured, set in a beautiful informal setting, and I enjoyed the intimate atmosphere with a small group of women. Kicki is an amazing doula and teacher, and the course reflects how inspiring she is; she brings out the best in people. I not only feel well prepared to start my path as a doula, but I feel uplifted as a mother and as a woman." "Over the years I have done various different courses for CPD as a hypnotherapist and birth professional and this is one of the best I have attended. Kicki’s course really surpassed my expectations (I was really only after the practical information of setting up) and this is because of what Kicki brought of herself to the course. She has such a lovely warm and generous spirit in sharing all that she knows about supporting women that I shall always try and remember this in my therapeutic practice from now on." "Kicki offers a wealth of experience, having been a doula for many years, and offers insight and reflection into her many different experiences. The course itself was extremely informative, offering education on birth physiology, birth options, assisting with the oxytocin factor, etc… as well as exploring post-natal support, including breastfeeding support/referrals and mental health. All of this knowledge was offered in a safe, confidential environment. As a trainer, Kicki is warm, kind, and supportive - mirroring her role as a doula in the phenomenal way in which she shared her breadth of knowledge. I looked forward to attending this class every day. 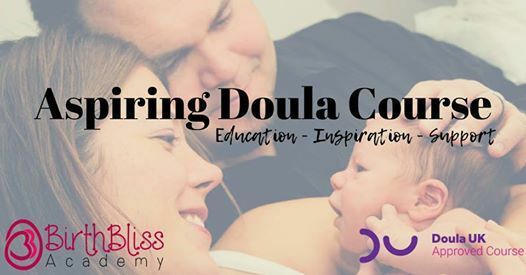 Upon completion of this course, I feel energised and competent to begin my career as a doula. Thank you, Kicki!" 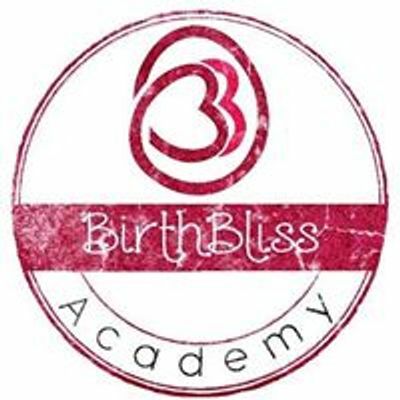 "I have recently completed The BirthBliss course with Kicki Hansard and I cannot recommend it highly enough. Kicki facilitates an inspiring, informative and comprehensive overview of the role of a doula, covering both the work of a birth and postnatal doula. Kicki has a wealth of knowledge and information and able to relate a realm of experiential narratives which enables a warm and personal understanding to the role of doula. I truly believe this to be the best doula course out there! Thanks so much Kicki." "This course is down to earth, fun and packed with knowledge and wisdom. I'm so happy I ended up choosing this course for my doula training; Kicki is such a safe group facilitator and made us feel right at home from the start. I felt I got so much knowledge, information and facts to back up my doula business as well as so many avenues to explore for further training. Also getting the full set of business tools to get started made me feel secure and good about starting out; I can do this! Looking very much forward to my work as a doula. Thank you so much, Kicki!" "Training as a Doula with Kicki is so much more than just doing a course, it is a gift! I feel I gained not just knowledge and information but an insight into this fabulous work ~ I am so looking forward to putting it into practice." "Before coming on the course I had thought about being a doula but didn't think it was something I would necessarily be able to do! Kicki has changed that and I feel that I can do it. Her course is extremely interesting, informative and delivered with such care and passion. I cannot recommend the course highly enough." "I shall try and keep this short and sweet, but there really is so many wonderful things to say. Kicki Hansard is a doula superstar! An inspiring teacher, confidant, and by the end of day one – a friend. She resonates warm, compassion, structure to the group and is an encyclopedia of amazing knowledge and advice which she transcends amongst the students in the course in a remarkable, energizing way. The setting and environment of the course was so conducive to our learning too. I am so pleased that Kicki jumped out at me when I first looked online, investigating which doula course to do! Thank you Kicki!"